Product prices and availability are accurate as of 2019-04-18 15:05:33 UTC and are subject to change. Any price and availability information displayed on http://www.amazon.com/ at the time of purchase will apply to the purchase of this product. 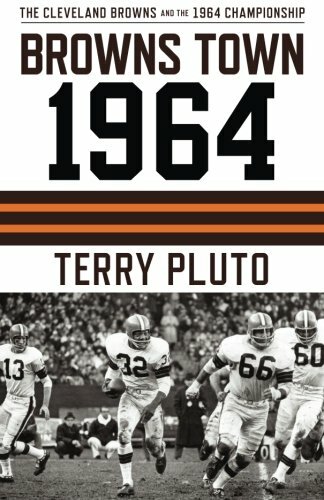 The inspiring story of Cleveland’s last champions: The 1964 Cleveland Browns. 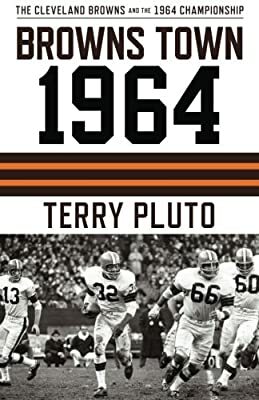 A nostalgic look back at the remarkable story of the upstart AFC Cleveland Browns’ surprise championship victory over the hugely favored Baltimore Colts in 1964. Sportswriter Terry Pluto profiles the colorful players who made that season so memorable. He takes us through the entire 1964 season from training camp at Hiram College to the championship game in Municipal Stadium. Along the way he recreates an era and a team for which pride was not just a slogan. They were a team of men in the truest sense of the words, men who didn’t expect to be coddled, men who didn’t believe the world should genuflect at the mere mention of their names. They had the greatest running back in the history of football, and a coach who wore a hearing aid. Their quarterback had a Ph.D. in math. They had a defensive end who was a preacher, and a halfback who became a millionaire. Together, they won it all. Back before Free Agency, before shoe contracts and end zone dances, football was a tough game played by men who loved it. They had real jobs in the off season, as insurance salesmen or manufacturers’ representatives, and they lived in the community where they played. They were grateful to the fans for their support and believed that nothing they accomplished was important unless the team won. The tough, blue-collar city of Cleveland loved its football team, the Browns (named after beloved coach Paul Brown). 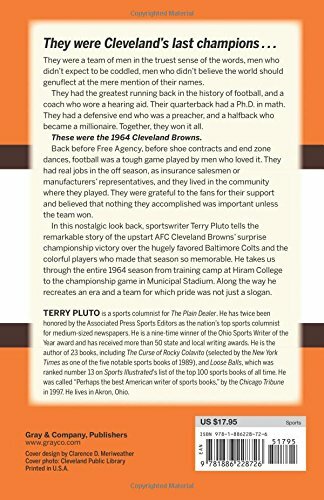 During their heyday in the late 1940s and 1950s, the Browns muscled their way into several championships and the hearts and minds of the fans. Even after change came in the 1960s with a new owner, Art Modell, and the forced retirement of Coach Brown, the team continued to flourish. When All The World Was Browns Town remembers those years, capped by the championship season in 1964, and juxtaposes this relatively innocent time with the present. Now the Browns are in Baltimore, moved by owner Modell, and renamed the Ravens. The money in big-time professional sports ultimately had its way with a town that was fanatical about football and its storied team.